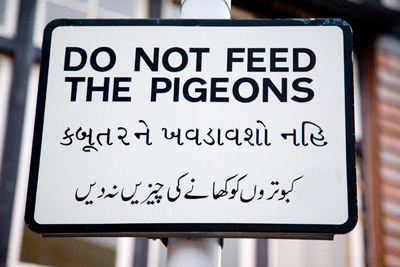 A commissioned work for an exhibition titled 'visual vocabulary: between image and word' in north London, which has many Pakistani and Indian neighbors. 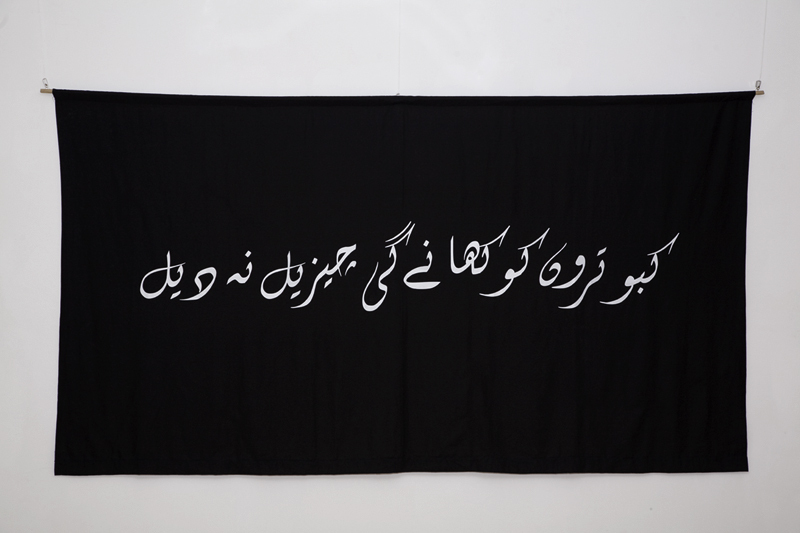 This piece repeats sign outside the gallery reading "Do not feed the pigeons" in Urdu (the official language of Pakistan) on black fabric. Due to the Arabic alphabet of the warning sentence and the black cloth, which reminds of the form of the Muslim flag, it is interpreted very differently than its literal meaning.